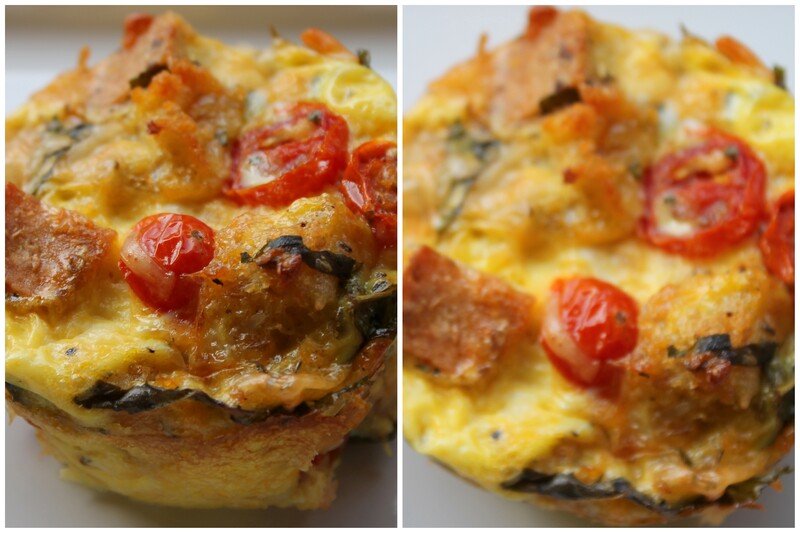 These mini tomato-basil bread puddings symbolize comfort food at its best – rustic, humble, inexpensive and heartwarming! 1) Pre-heat the oven to 375 degrees F. Butter or spray your regular cupcake tins (12-14 cupcakes from this recipe). 2) In a medium-large mixing bowl combine the bread cubes, Parmesan and Fontina cheese and set aside. 3) In a medium skillet, heat the olive oil over medium-high heat. Add the garlic and shallots and cook until the shallots are translucent and the raw garlic smell dissipates (about 2 minutes). Now add the tomatoes and season with salt and pepper. Cook until slightly soft about 2 minutes. Remove the pan from the heat and stir in the basil. Add this tomato mixture to the bread cubes and cheese mixture. Carefully stir everything to combine well. 4) In a large bowl, beat together the eggs with all the other custard ingredients, until smooth and slightly fluffy. 5) Divide the tomato and bread mixture among the cupcake cavities. Fill each cavity just shy of a finger space from the top. Now divide the egg custard to each cavity. The egg mixture should only come up to where the bread mixture ends. Bake until golden, puffy and set (about 20-30 minutes). Remove from the oven and cool in the tins for 8-10 minutes. Carefully run a butter knife along each cupcake cavity and remove the mini bread puddings. Serve immediately. 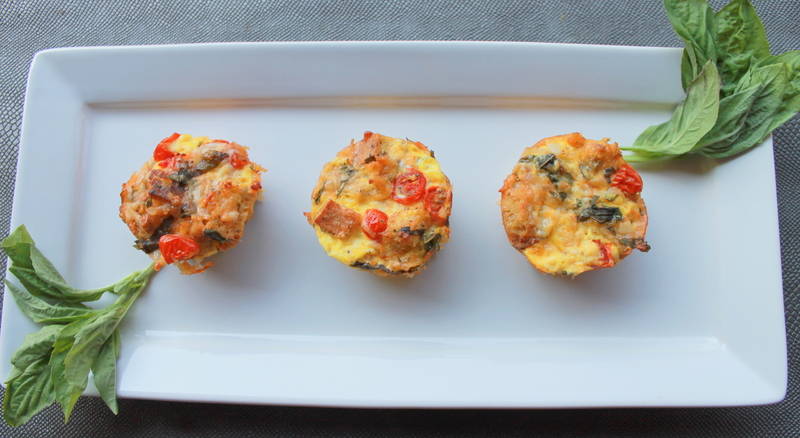 For a complete brunch serve these along with a tossed salad, ham or bacon and fresh fruit cups.